Agriculture may be one of the oldest sciences, but the rate of change is remarkably high. With technology booming on all fronts, from seed production to harvest, cold storage to even transportation, the field of agriculture could be experiencing some if its greatest changes ever right now. Some good, some bad, some simply to watch with interest, these five advances, breakthroughs, and hurdles could outline the future of agriculture technology. While a portion of the populace may be hesitant or negative about genetically modified food, there are more pro-GMO folks in the majority now than there have ever been. On top of that, the production and widespread use of genetically modified crops are increasing greatly. These modified crops are more pest-resistant, drought-resistant, and can be grown in much greater quantities than ever before. In the past ten years alone, acreage of GMO crops has grown by 83 million hectares. Though these are based on projections, according to the Food and Agriculture Organization, demand for agricultural needs could raise by as much as 70% by 2050. That’s a massive increase in just 30+ years and is going to require a shift in both energy needs and genetic engineering. However, it is mentioned in the same report that if biofuel technology becomes more widespread and developed, that may mitigate some of the damage. 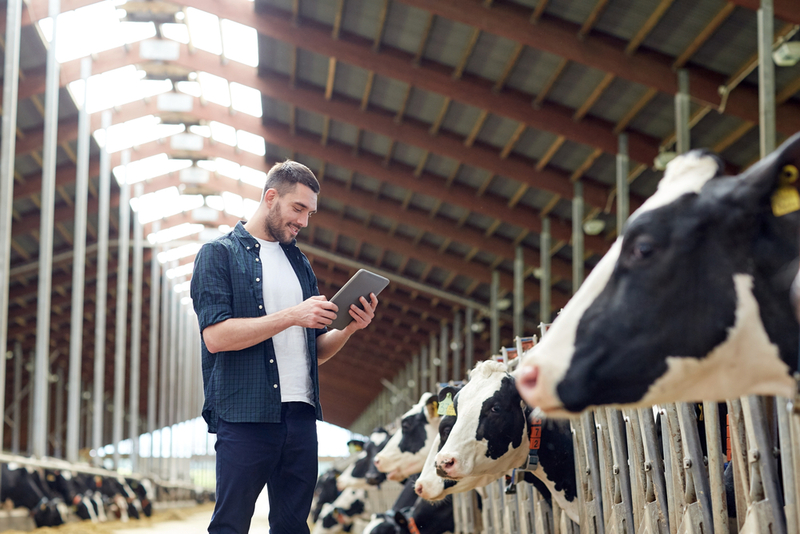 Some farms are using biomonitoring technology on cattle, tracking how much they move, their heart rates, core temperature, and other factors to keep cows healthier, to know when cows are in heat, and even to increase milk yields. Other farms are making heavy use of drones to map out their farms, to monitor and count crops, to pick up soil temperature, H20 levels in the soil, and even provide 3D topography. The current drop in available farm labor could have spelled disaster for agriculture if we weren’t investing so heavily in automation and robots to fill the gap. Industrial agriculture needs robots like Blue River Technology’s spraying and weeding robots to increase efficiency and to make up for the loss of workers. These machines are capable of sensing where weeds are and identifying them in seconds and have auto-targeting nozzles that immediately spray the weeds with herbicide. Celebrities in finance, technology, and even acting are investing in industrial agriculture more than ever. Bill Gates has invested over $100 million in Impossible Foods, and the Jonas Brothers have invested over $30 million in Ember Technologies. Demi Moore, Toby McGuire, and John Legend all threw in $30 million for Thrive Market, and director James Cameron invested $21 million in Planetary Resources. As you can see, agriculture technology is jumping forward, which is exactly what we’ll need as population and demand increase. Contact us today for more information on new technology, seeds, soil chemistry, and more!